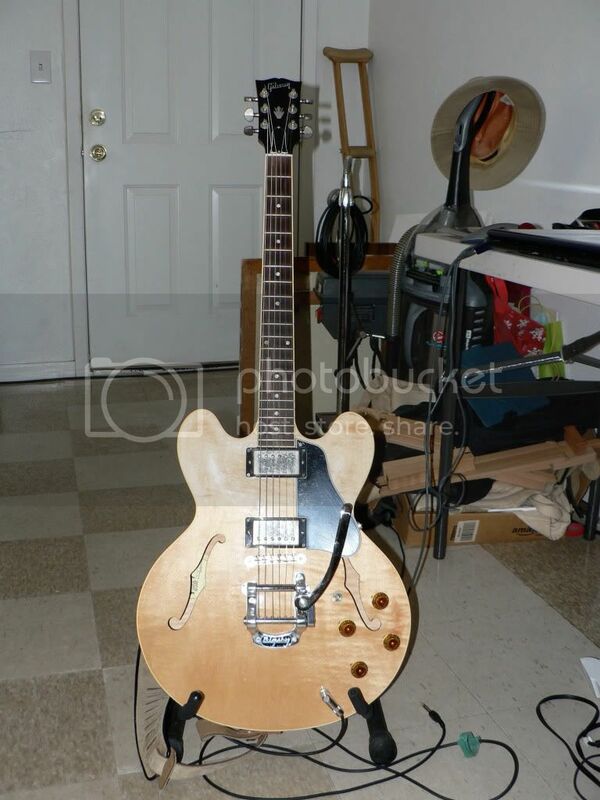 Vibramate And a Bigsby For ES-335? Discussion in 'Guitars in General' started by joevacc, Apr 19, 2016. Has anyone installed one of these Vibramate's and a Bigsby B7 on their Gibson ES-335? I am throwing around the idea. How did you like/dislike it? I have a trem on my Strat (Floyd Rose) and I use it a fair amount when I play it but I have never really played a Bigsby. I do worry about intonation and tuning. This guitar is dead on in that respect so I would hate to have that bother me. 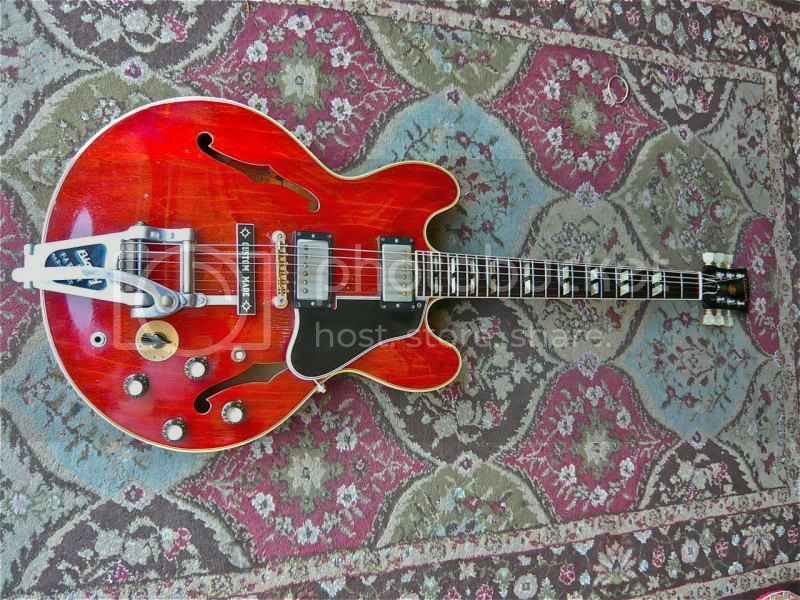 I swore when I got my 335 that I would not mess with it, because it is perfect - but everybody loves a little vibrato! Drilling this guitar is not an option for me. I think you have to use a B5 on and ES-335. Or you could use a B6 with a Towner bar. Have you looked at the link? B7 is the way to go with a 335. I drilled mine in and have zero regrets. I put a Schaller roller bridge on mine and if anything the sustain and intonation improved from the pigtail TOM I had on. I tried to post a pic of the 335/B5, without result. joevacc and Keef Wichards like this. B6/Towner is what I put on my Epi Dot. Compared to a Bigsby with a built in pressure roller, it allows you to soften the break angle and get a more hollowbody-style decay on the notes, if you like. Or you can crank the bar down and make the response similar to the stop tailpiece. Here's a Gibson ES-335 Dot with a BIGSBY B6 and TOWNER Down Tension Bar and Hinge Plate Adaptor installed. The B6 has the hinge plate swapped for a BIGSBY B3/B7 hinge plate. morgan918 and joevacc like this.